Giving season is the most important time of year for nonprofits, it’s make or break for annual funding goals. Oxbow worked with Panthera to launch a digital fundraising campaign in 2017 and the results were incredible! Panthera is the only organization in the world devoted exclusively to the conservation of the world’s wild cats. Their team of leading biologists and law enforcement experts develop innovative strategies to address the dire threats facing cheetahs, jaguars, leopards, lions, pumas, snow leopards, and tigers. In an annual fundraising push corresponding with national Giving Tuesday efforts, Panthera tapped Oxbow to develop and execute a digital campaign to appeal to their donor base and increase first time donors. Everyone loves cat videos, and Panthera’s camera-trap footage has worked well in increasing brand exposure and social advocacy. 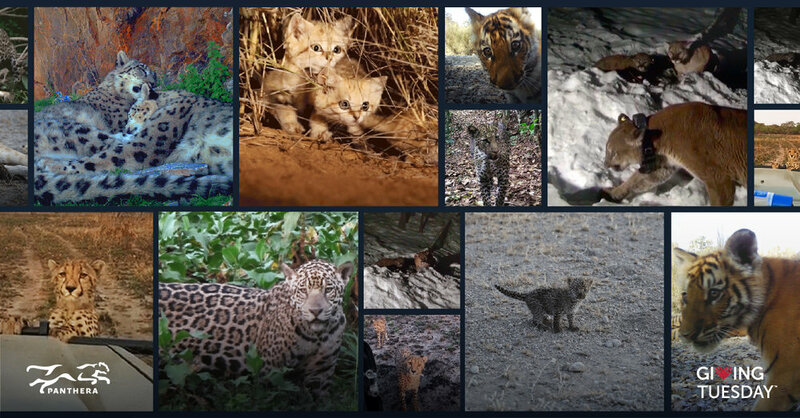 Using short clips from camera-trap footage, we drove traffic to a custom microsite built for capturing email, Panthera’s best-performing donation channel. Users were then able to unlock more candid footage as a reward for voting on their favorite story. Creative variety, cross-channel exposure, and remarketing helped to amplify our message to a vast audience, while long-form email content and custom pages provided flexible messaging to control the narrative and create a sense of urgency. Panthera more than doubled their fundraising goals for the campaign, continuing their aggressive growth trend and opening up new opportunities for larger initiatives in years to come.